Welcome to Ruby Fortune Online Casino Australia, where you’re sure to find games you’ll completely adore and where you’re sure to encounter loads and loads of winning possibilities. For over 10 years we’ve been giving our Aussie players high quality casino games, exciting promotions and friendly and efficient customer service. Since day one our AU$ 750 casino bonus has been synonymous with our glitzy pink colour scheme and with providing many a player with more bang for their buck. It’s why we’ve never had to change or alter the offer as its popularity remains intact and consistent. We’ve always prided ourselves on being able to provide a very sound service to all our players. Our recipe to perpetual success has been simple and effective and it’s been built around strong principles. These dictate that to each and every player we shall provide a gaming service that is fair, easy, safe and fun. Ruby Fortune Online Casino offers Aussie players years and years of industry experience. We offer exceptional casino games to include all the kinds of options you would find in a land-based establishment and we go further. 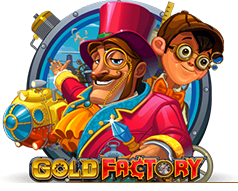 Our online casino games number more than 450 and they’re all from industry legends themselves, Microgaming. If you enjoy gaming in the comfort of your home on your PC, laptop, mobile or tablet, then our online casino will offer you the full-bodied casino experience. If however you’re a little pushed for time, then our mobile casino app will offer you those essential gaps to capitalise on. We’ve also managed to offer you a gaming option that takes the standard of realism to an all-new level and this is presented by way of our live casino section. Before you embark on your exciting journey into our digital halls of delightful entertainment, we’d like to offer you the casino bonus that made us famous – our AU$ 750 new player bonus. For years we’ve made our Australian players feel at ease and at home with this giving offer and nothing has changed. Enjoy more games and more opportunities to win with this prestigious match offer that gives you three bountiful bonuses that equate AU$ 750 in total. Start your online journey to great riches today with Ruby Fortune Online Casino.